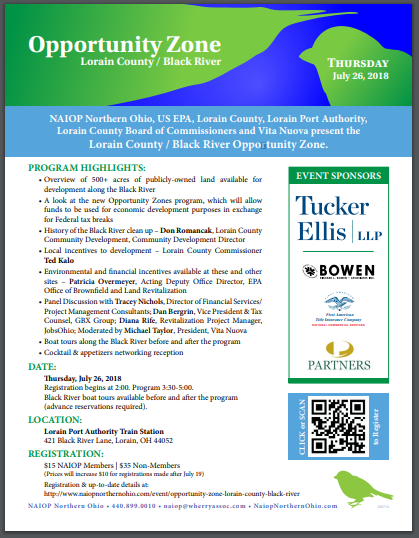 The Northern Ohio chapter of NAIOP will join the USEPA, Lorain County, Lorain Port Authority, Lorain County Board of Commissioners, and Vita Nuova in hosting an Opportunity Zone showcase in Lorain County. The event will highlight opportunities in Lorain, explore the Opportunity Zone program, and demonstrate economic and financial incentives available for sites in the Black River Opportunity Zone. Find more information in the flyer below and sign up for the event here. New Restaurant on Broadway "Union Town Provisions"